The past, current, and future history of the Cannes Film Festival will always be complicated. On May 17, the 70th edition of the Festival de Cannes kicked off with the opening-night screening of director Arnaud Desplechin’s “Ismael’s Ghosts.” It will wrap up 11 days later, when the Pedro Almodovar-led jury bestows the highly coveted Palme d’Or on one of the 19 international productions in the festival’s main competition. In between, dozens more motion pictures will flicker to life in theaters along the Croisette, a sun-kissed promenade dotted with luxury hotels that attracts a swarm of paparazzi with the promise of celebrity sightings and scantily clad starlets. If it is, it’s only the latest. As Lucy Mazdon, one of the few film scholars to have studied this annual event, points out, the Festival de Cannes has long functioned as an expression of France’s national identity. 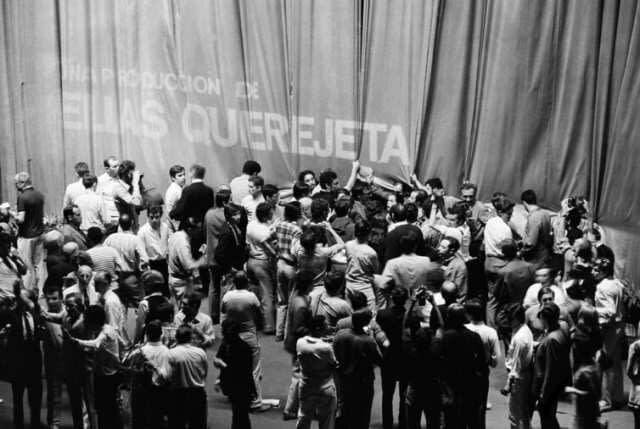 It reinforces the important place that film occupies in the country’s culture, along with its reputation as a purveyor of artistic – rather than strictly commercial – cinema. But Cannes has sometimes struggled to live up to this ideal, and the competing agendas of art, commerce, international politics and national pride have long roiled the festival. In 1938, French diplomat Philippe Erlanger, film critic René Jeanne and Minister of National Education and Fine Arts Jean Zay were disturbed by that year’s Venice Film Festival, when pro-fascist films from Germany and Italy – Leni Riefenstahl’s “Olympia” and Goffredo Alessandrini’s “Luciano Serra, Pilot” – jointly won the top award (the tellingly named Coppa Mussolini). In response, they came up with the idea of a French “counter-festival” that would stand in opposition to Italy’s. Originally branded as the “Festival International du Film,” the organizers hoped the event would outshine its European counterparts, celebrating the art – rather than political value or propagandist content – of cinema. However, politics almost immediately came into play. On the night of the inaugural gathering on Sept. 1, 1939 – as guests were arriving at the Casino Municipal, including Hollywood stars Gary Cooper, George Raft, Norma Shearer and Mae West – Nazi Germany invaded Poland. Following a single screening of the RKO production “The Hunchback of Notre Dame,” organizers brought the festival to a sudden halt. Great Britain and France declared war against Germany two days later. It would take another seven years before Erlanger, Jeanne and Zay’s vision was finally brought to fruition. Even then, the festival was torn between dueling agendas, with European ideals of art cinema rubbing up against popular Hollywood productions that many French audiences clamored for. The contradictory nature of the Cannes Film Festival has only intensified since. In 1959, the French Minister of Cultural Affairs André Malraux called for the establishment of an international “film market,” the controversial Marché du Film. Intended to strengthen the commercial appeal of the festival, the Marché brings together industry professionals for the purposes of networking and brokering deals between buyers and sellers. Meet-and-greet opportunities are formalized through the inclusion of daily breakfasts, round-table talks and workshops with industry leaders. A decade later, in 1968, student and worker protests swept through Europe. 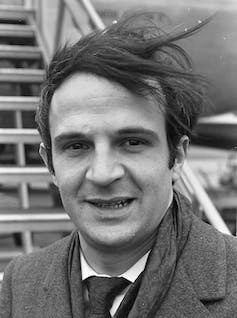 Truffaut and other French filmmakers and intellectuals, including Jean-Luc Godard and Claude Lelouch, called for a premature end to the 21st edition of the festival. The festival, which was supposed to run between May 10 and May 24, was shut down six days early in a show of solidarity with those who were opposed to American cultural imperialism, the Vietnam War and the global spread of capitalism. Since then, other well-publicized episodes have disrupted the Festival de Cannes, from the discovery of a handmade bomb beneath a stage at the closing ceremony in 1978 to Danish filmmaker Lars von Trier’s explosive (if jesting) claims that he was a Nazi who “understood” Hitler in 2011. This year’s edition of the festival is no exception to that history of politicized hullabaloo. Much of the recent commentary surrounding Cannes concerns the current state and future of film exhibition and distribution. Specifically, the decision of the festival’s artistic director, Thierry Frémaux, to include two Netflix-produced films – South Korean director Bong Joon-ho’s “Okja” and American filmmaker Noah Baumbach’s “The Meyerowitz Stories” – has been criticized. The move has drawn the ire of the National Federation of French Cinemas (FNCF), an organization that represents the interests of local theater owners who worry international streaming services will threaten not only their own livelihood but also the quality of cinema in the years to come. Almost immediately after this year’s Cannes program was announced in early April, speculation arose in the pages of U.S. trade magazines as to whether online streaming services and small-screen platforms would be blocked from entering forthcoming film festivals. According to The Hollywood Reporter and Variety, a new rule set to go into effect next year will require any competing film at Cannes to be distributed in French theaters before being made available for online viewing. Moreover, current French law requires a window of 36 months between theatrical release and streaming availability, a stipulation that Netflix, Amazon Studios and other streaming services aren’t likely to abide by. The wrenching changes brought by streaming services to the TV and movie industries mark a departure from the political conflicts of years past. But controversy is certainly nothing new on the Cote d’Azur: a long view of its history suggests that strife and contention have distinguished this French cultural event since its very beginnings.